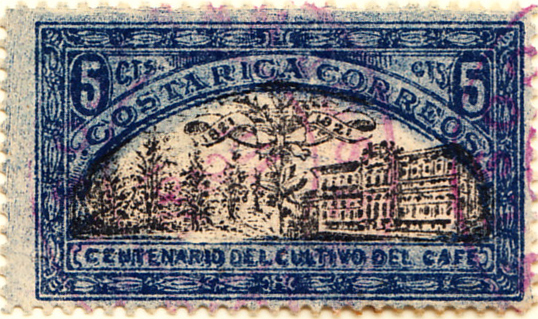 Central America’s Costa Rica is another orderly entry with timely, inexpensive stamps. 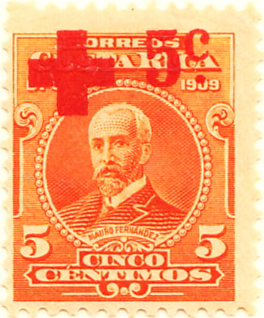 The exact date of the first issue is not known. 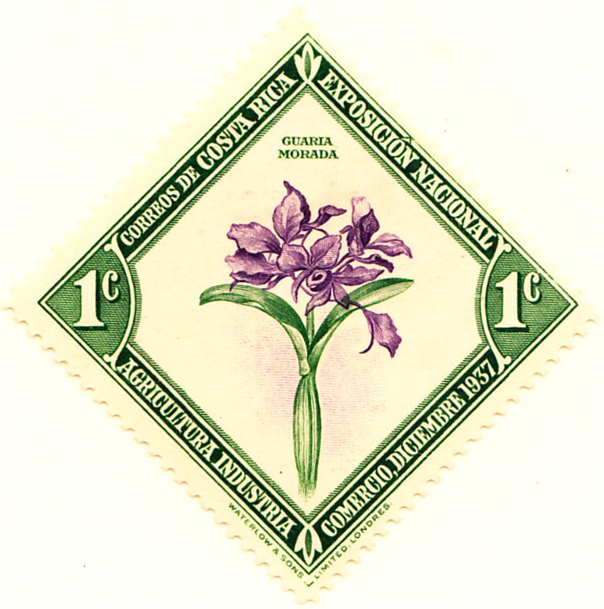 Costa Rica did produce one of the most elegant stamp issues of all time, the 1938 Orchid (their national flower) and, although outside the scope of this display, it is a pleasure to show it. 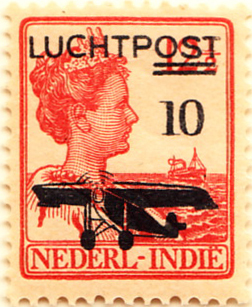 Netherlands Indies (or Dutch East Indies) first issue was on 1st April 1864. 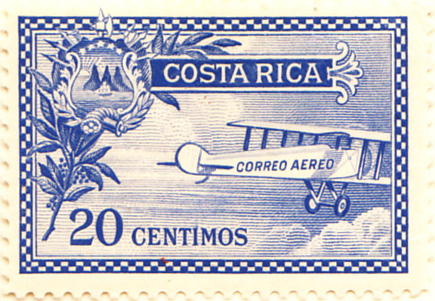 The first airmail is one of the best overprints of its kind. 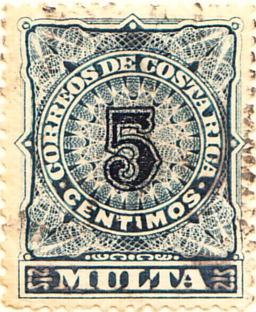 There were Japanese occupation issues in 1943. 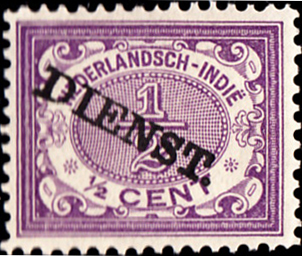 The early post dues are unaffordable. 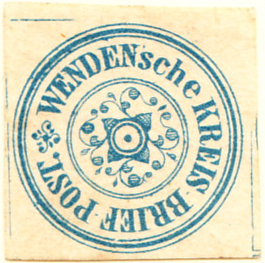 This was a town in the Russian province of Livonia governed by the Teutonic Knights and thus enjoying special privileges, including its own postal administration. 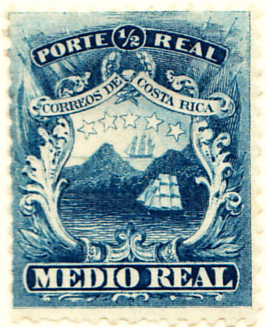 Although listed by Scott, the stamp shown is generally regarded as an essay. 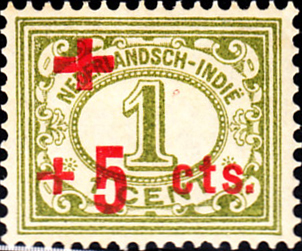 It has been noted in the previous entries that these are dealt with in detail in a separate display, but mentioned when relevant to individual countries, provinces and states. 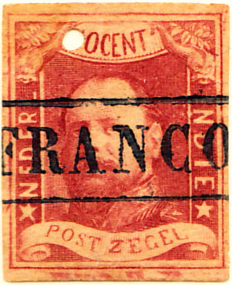 Both the first occupation issue (1864, Holstein, see page 2) and the first office abroad stamp (1863, Russia, General issue for the Turkish Empire, p8) were released in this period.